It seems that everywhere you look these days, from the South Waterfront to downtown, Pearl District to Alphabet District and beyond, Portland is filled with boutique hotels that are popping up brand-new or freshly renovated. That's a great thing not only for the city's tourism but also for those of us who love to staycation as well as dine at the lovely chef-led restaurants and bars that smartly anchor each of these locations. The iconic Heathman Hotel, adjacent to the Arlene Schnitzer Concert Hall on Southwest Broadway, is one of the city's oldest — and now newest — boutique hotels. Built in 1926, the original Heathman was one block over. The current building, built in 1927, stands where it is today, and is on the National Register of Historic Places. This summer, the Heathman debuts its fresh new look after eight months of renovation (the Beefeater doorman, however, remains unchanged). It's the second major renovation after one in 1984, when the guest rooms were refurbished, the Tea Court Lounge was restored and the entrance was moved from Salmon Street to Broadway Avenue, where it is now. 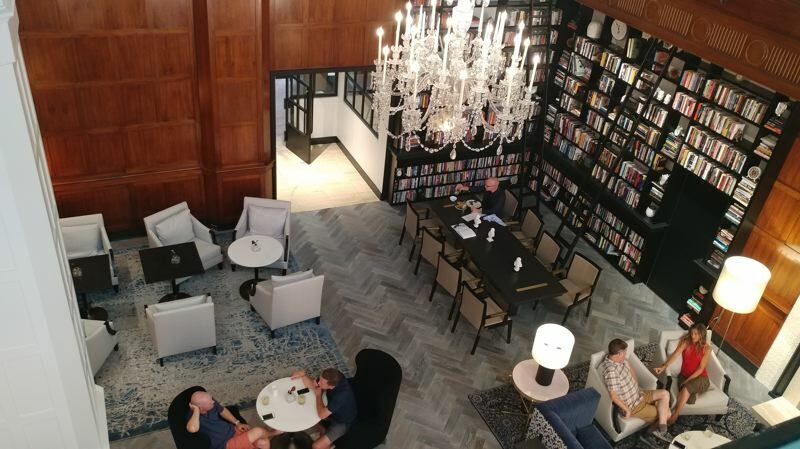 • Visitors will now notice a new location for its 2,700-plus-volume library of books signed by their authors, in the main lobby rather than upstairs mezzanine so as to be more accessible to visitors and guests. The library includes works by Nobel and Pulitzer prize winners, a former president and other prestigious works. • The upstairs mezzanine lost its dark wood paneling and is now bright and airy, with modern decor and flexible spaces that may be used by guests or for private parties. • The eight floors of guest rooms are freshly painted and carpeted, with art on the walls from Portland artists in various themes such as bridges and nature, with bold colors that accent the original Jacobean Revival style. • In the lobby, a 400-foot by 400-foot accurate-to-scale relief map of downtown Portland greets visitors above the reception desk, looking something like a giant mirror with gold blocks jutting out. Each of the buildings on the map and each block celebrates Portland's walkable city blocks, which are part of the reason the city's downtown thrives today. 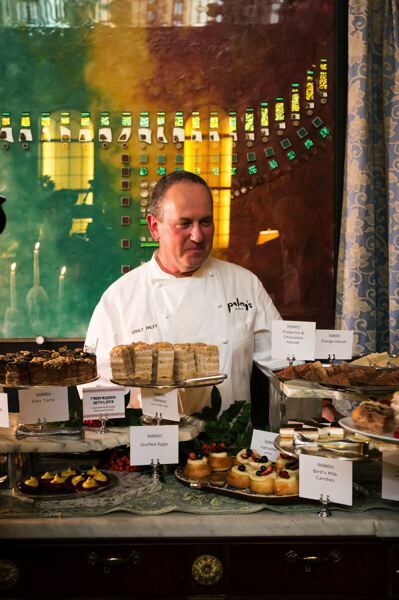 The new renovation brings the hotel on par with the Headwaters restaurant, where Paley dabbles in everything from Russian tea pop-ups to classic seafood boils complete with bibs, mallets and Miller High Life. 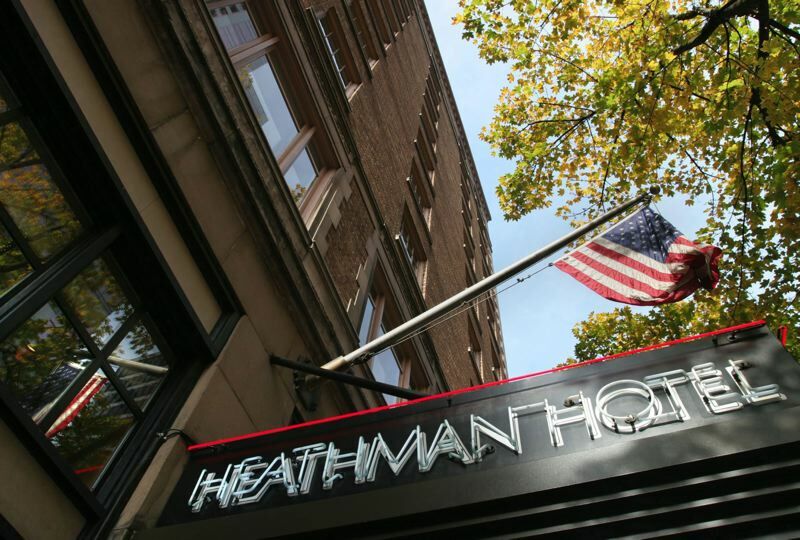 The Heathman is one of five Portland properties owned by the Provenance Hotel Group, a collection of nationwide boutique hotels — each with its own personality and charm (and all pet-friendly). A sixth hotel will soon be added to the Portland family when Woodlark opens this fall just blocks away, at Southwest Park and Alder streets. The new hotel will occupy the 1912 Woodlark Building as well as the 1908 Cornelius Hotel, joining the two historic sites. The Woodlark will showcase the work of Imogene Cunningham, a native Portlander who produced a series of botanical photos in the 1920s and 1930s. Cunningham's works are featured in major collections and museums around the world, and now will be in guest rooms at Woodlark as well. Woodlark will be anchored by the much-anticipated restaurant Bullard, by former Imperial chef and Top Chef finalist Doug Adams. • Dossier, which features a collection of seven Portland- based illustrators' works that speak to the theme of nature. The pieces were just installed this past week. • Hotel deLuxe, celebrating the golden age of Hollywood cinema with more than 400 behind-the-scenes photos and film stills curated by the director. • Hotel Lucia, with the world's largest collection of black and white photography by David Hume Kennerly, a native Oregonian and Pulitzer Prize winner. • And the Sentinel, paying homage to visionaries who pioneered large-format black-and-white photographs, curated by floor according to discipline.